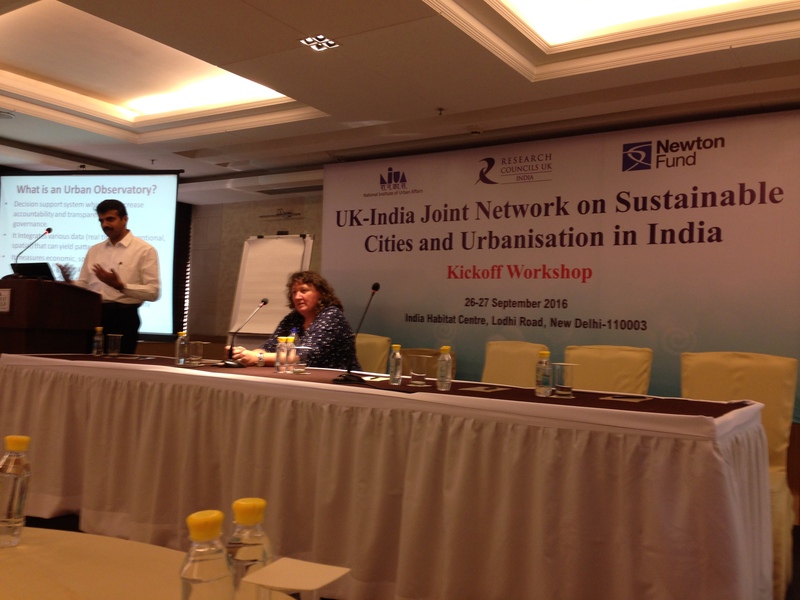 The Kickoff workshop of the UK-India Joint Network on Sustainable Cities and Urbanisation in India was held on 26-27 September 2016 at India Habitat Centre in New Delhi. The main objective of this kickoff meeting was to bring together academia, government organisations, NGOs, industry representatives to discuss ideas and to develop a framework for Urban Observatories relevant to the needs of Indian cities. The RCUK funded SMARt ciTIES is lead by Professor Michele Clarke (University of Nottingham) and Dr. Ajith Kaliyath (National Institute of Urban Affairs, India) brings together a consortium of multidisciplinary, international researchers with expertise spanning education and social science, cultural heritage and urban planning, science and engineering, ecology and environmental sciences and information technology to develop new collaborative solutions to the multi-layered challenges of rapid urbanisation. The Network includes leading urban researchers from University of Nottingham, University of Birmingham, University of Southampton, Bishop Grosseteste University College, Loughborough University, Northumbria University, Nottingham Trent University and University of Surrey from the UK. From India there are urban researchers from Jawaharlal Nehru University, IIT Delhi, IIT Kharagpur, IIT Roorkee, Indian Institute of Population Studies Mumbai, Indira Gandhi Institute of Development Research Mumbai, Institute for Social and Economic Change, Bengaluru and Tata Institute of Social Sciences, Mumbai from India. As well as establishing a multi-institutional and interdisciplinary network bringing together Centres of Excellence in the UK and India, the Network will reach beyond academia and engage with innovators, policy makers, industry and civil society. To help achieve these aims Network will develop the Urban Observatory model in India and catalyzing its adoption in a number of Indian cities. These Observatories will provide relevant, indigenous new knowledge and insights to help implement the Government of India’s Smart Cities Mission, Atal Mission for Rejuvenation and Urban Transformation (AMRUT) and the Housing for All by 2022 Mission . The project kickoff meeting on Sep 26th-27th was attended by representatives from all members of the consortium. The meeting started with introduction from Mr. Jagan Shah (Director, NIUA) and Mr. Jeetendra Singh, (Director, NITI Aayog) discussing on Urban Sector-Priorities of Government of India. Nafees Meah, (Director, RCUK India) gave the context of the joint network model following setting the scene by Dr Ajith Kaliyath (Indian Principal Investigator, NIUA) and Prof. Michele Clarke (UK Principal Investigator, University of Nottingham). There were presentations from Dr. Arindam Biswas, IIT Rourkee on Sustainable Habitat under IMPRINT and Possibilities of data driven governance by Poornima Dore (Tata Trusts) in the opening session. This was followed by three main sessions which spanned the two days . Urban Observatories , Use of Big Data in Urban Observatories and Community Engagement with Urban Observatories. Each session had two keynotes to set the scene and the discussions on specific topics . The keynotes byKsenia Chmutina (Loughborough University), Kala Sridhar (ISEC, Bengaluru), Suchith Anand (University of Nottingham), Arkopal Goswami & Bhargab Maitra ( IIT Kharagpur), Christopher Atkin (Bishop Grosseteste University and Arindam Biswas (IIT Roorkee) which brough together sharing of research and ideas . For the session on Urban Observatories the participants were divided into four groups each looking at a particular challenge i.e Monitoring Urban Dynamics: MDGs to SDGs; Evidence Based Planning/Policies, Data and Indian Cities, Opportunities under National Urban Missions. The teams then presented the summary of the discussions to the whole group .On the final day of the workshop there was consolidation of all the discussions from all the sessions and groups . The summary was presented to the High Level Panel. Governments and city planners are increasingly developing city visions which identify long-term goals for IT (connectivity/’smart’ systems/digital services,GNSS), infrastructure (housing /transport /water/waste/energy/goods/food) and development (green growth/livelihood improvements) but urban sustainability is challenged by social (poverty/cohesion/inclusion/diversity), environmental (extreme weather/tectonics/disease outbreaks) and economic (recession/declining labour market/oil price fluctuations) factors which frequently operate on shorter timescales and which can impact severely on cities, urban ecosystems and people. Understanding these challenges at individual city level requires data and information to enable monitoring of cities at multiple scales to improve our understanding of how cities work and to develop an evidence-based approach to identifying novel solutions. The Urban Observatory approach offers a platform to enable data-led regional planning at different temporal and spatial scales. We will work with local government and city administrators, Chambers of Commerce and Metropolitan Development Authorities to collaborate on the creation of new Urban Observatories in these cities, with the aim of harnessing the power of Big Data and geographical information systems. 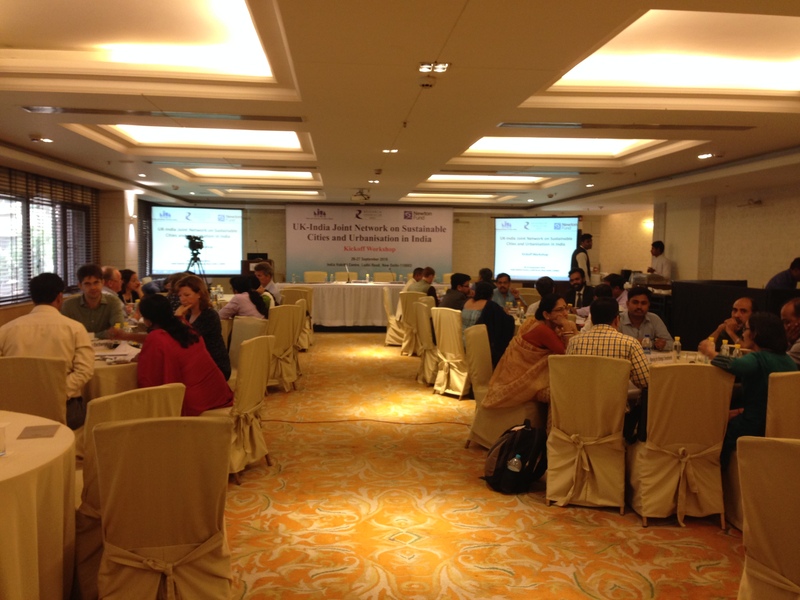 Leveraging the multidisciplinary expertise and experience in the UK-India Network on Sustainable Cities and Urbanisation we will hold planning workshops in each city, which will include members of local society, administration, higher education and the Regional Studies Association India Network. Network members will contribute data, expertise and information to the Urban Observatories and work with the local communities to tailor the information to meet the needs of different stakeholders. 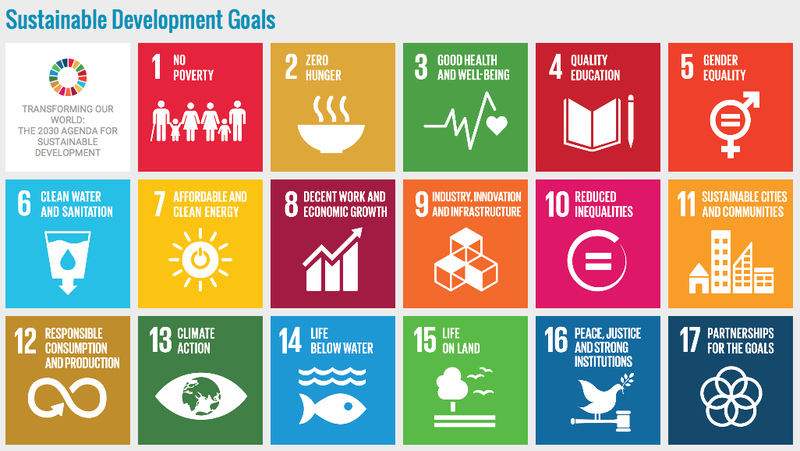 This will also aim to link and build synergies with the United Nations Sustainable Development Goal 11 (Sustainable Cities and Communities). We thank all participants for their active contributions for the success of this workshop. Special thanks to Ajith and Michele for their efforts and leadership in this. We look forward to building up more ideas and collaborations for our future workshops later this year in India to further expand ideas on Urban Observatories relevant to the needs of Indian cities. This entry was posted in Uncategorized by Suchith Anand. Bookmark the permalink.